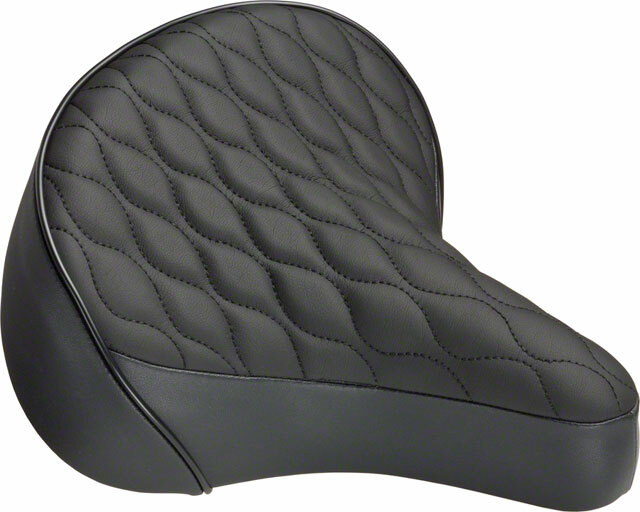 Quilted Cruiser saddle has black vinyl and springs. A great addition for your cruiser. 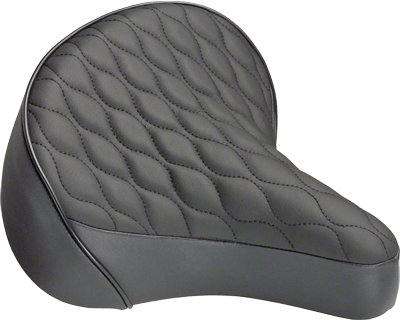 Dimension Quilted Cruiser saddles have a standard seatpost mount, complete with springs for extra comfort. The B17 is ideal for long distance sports touring, trekking and mtb use. A classic touch to any bike,new or old. Available in more colors!